For Yasir and Amar the Waha project was all about ‘science’ and ‘partnership’. They drew inspiration from the British colonial vision for the Gezira which aimed to create a ‘prosperous tenant class’ which would share in the profits of cotton extraction. As they were well aware of the claims on the land by the people of Madhi and the challenges impoverished tenants Gezira had posed to central organisation, they bought them out rather than engaging them in the partnership – as was done in Gezira. Yasir told us how the Cooperative “made an agreement with the local inhabitants and promised that part of the land would be registered in their names and incorporated into the irrigation system.” In this way it paved the way for its own members to become real partners who would share in the profits. Drawing from the Gezira’s ‘agreement of sharing cotton profits, its partners would share in the profits from provision of agricultural services like land preparation, fertilizer provision and marketing the crops cultivated at Waha. They appointed a water management committee to distribute the water and recover costs for electricity, operation and maintenance of the canal system. In 1990, the first year of the project, Amar bought – like 1000 other member agriculturalists, engineers, lawyers most of whom form Khartoum – two 10 acre tenancies for 1200 SDG (then 1 SDG equalled 1 USD) each. A year later 800 tenancies were added for military officers who received a tenancy as compensation for their forced retirement by the government who was restructuring its military apparatus. With the money the Cooperative contracted COM to prepare the land for cultivation. Nobody could at that point in time have known that COM would take control over their land 25 years later. For three years the Cooperative was in business and hoped that it would expand the modest profits it made by the services it provided for the cultivation of cotton, wheat, sesame and vegetables. For Amar, like the Gezira’s colonial planners, the development of irrigation was key in drawing people relying on backward pastoralism and recession agriculture into the modern economy. Yet the outlook for success of the Cooperative was short lived. A month after the project took off the Iraqi army invaded Kuwait. Soon after the government sided with Iraq the Kuwaitis stopped investing in Sudan. As imports were severely constrained and the price of inputs went up, tenants failed to make a profitable business and repay the costs for the services they received from the cooperative for cultivation. The government plunged into economic crisis. Eager to get rid of strongholds of bureaucratic power of previous regimes that persisted in the sizeable agricultural and irrigation bureaucracies and unions, the government reoriented its attention towards oil production, real estate and communications (El-Battahani and Woodward 2013). In was in this context that COM struck a deal with the governor of Khartoum state and Kuwaiti investment company which wanted to liquidate its investment in Waha in the early 2000s. COM paid 1.5 million USD for the pump and irrigation network. The government – since the advent of oil not longer economically dependent from the irrigation and agricultural bureaucracy out of which the Cooperative had grown – provided the company with a 25 year lease of the land and ‘free water’. Yasir, with a bitter voice now and trusting that we – as researchers – would understand, stressed that “this was a big mistake of the government because it is not scientific”. Tenant agriculture had been replaced by high tech farming for the benefit of a single investor. When asking how he thinks this is less scientific than the earlier model Yasir is confident: “The deal between the government and Dal has nothing to do with science. Moreover it is unjust as 1800 tenants were displaced by one investor while we did nothing wrong. Why did government ministers and some of the military officers get compensations and not us?” Soon after the deal they had opened a court case against the government which is still ongoing. Yasir is not hopeful about its outcome as they are out of favour with the judiciary. 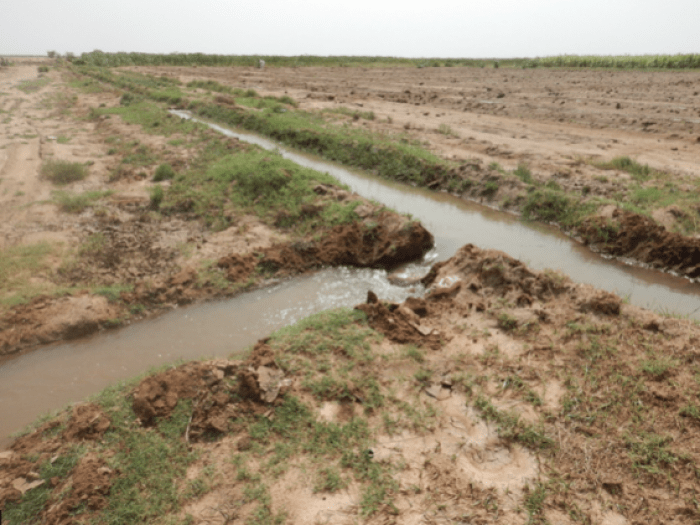 With a firm belief in science and profit sharing as the superior way of ruling, Yasir and Amar – like most Sudan’s irrigation and agricultural bureaucrats – keep their dream of development through industrial smallholder agriculture alive. Both COM’s model and the scientific partnership model portray Waha in terms its a potential for productive farming. 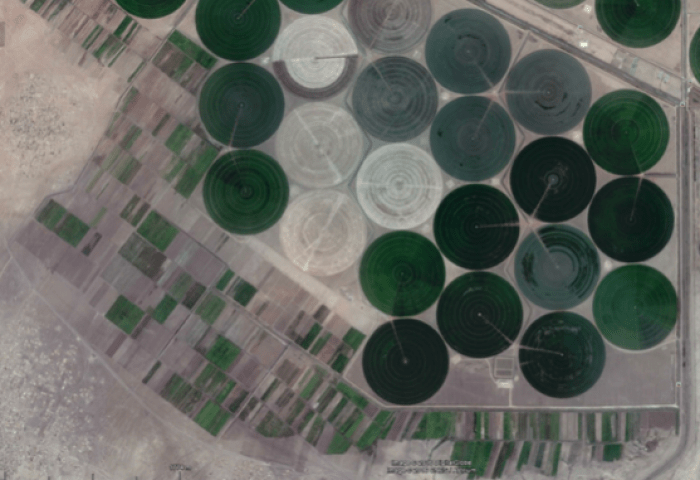 Whereas for Yasir this potential was briefly realized between 1990 and 1993, for COM, which replaced a large part of the scheme with pivots from 2007, it is only starting now as their yields go up after a few years of experimenting with modern pivot irrigation. Strikingly both accounts reveal almost nothing about the people and cultivation at Waha. To explore cultivation at Waha pleace click: converting scientific agriculture.